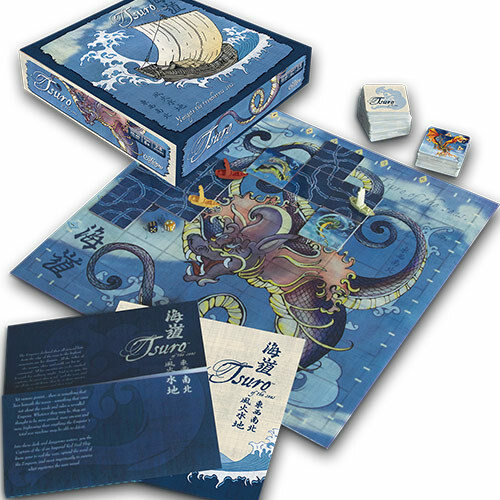 In Tsuro of the Seas, you’ll sail the treacherous waters of the Mystic Seas in an engaging game of adventure and suspense! 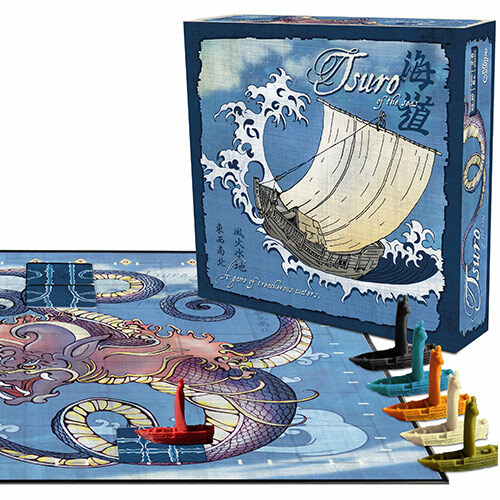 As the captain of one of the Emperor’s mighty Red Seal ships, you will navigate the seas by placing wake tiles to direct your vessel. 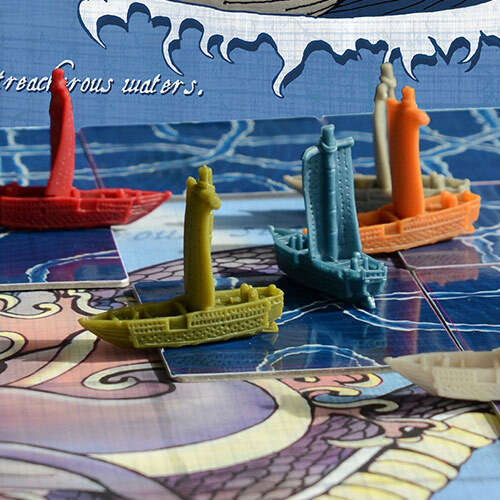 Take care to avoid your opponents’ ships… and the dangerous creatures lurking just beneath the waves. 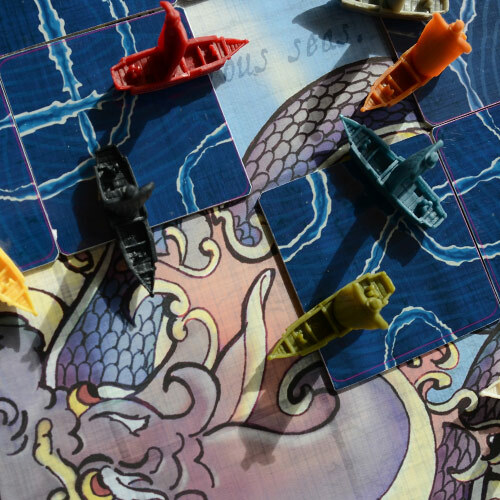 Guide your ship with a steady hand and be the last captain sailing to win! 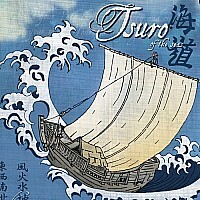 In Tsuro of the Seas, players follow a path created by tiles, just like in the original Tsuro. Now, however, players are competing not just against each other but against daikaiju that move across the board, consuming tiles, players, and even other daikaiju. 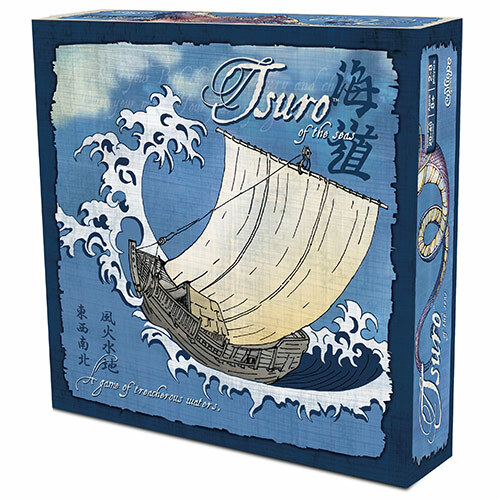 Tsuro of the Seas is played on a 7x7 grid - slightly larger than the original Tsuro - with coordinates designated along the top and left side. Each set of coordinates is represented by a gold and blue die. Players use these coordinates to place daikaiju before and during the game. 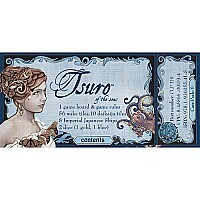 On the active player’s turn, they will roll both dice. If the combined result is a six, seven, or eight, the daikaiju move. (With all other die rolls the daikaiju remain stationary.) If the daikaiju are moving, the active player then rolls a single die that will determine which direction the daikaiju move as indicated by the numbered arrows on the daikaiju tile. 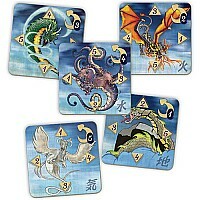 Should a daikaiju hit another daikaiju, wake tile, or ship that game component is removed from the board. If it’s a player’s ship that is hit, that player is out of the game. The last player remaining on the board is the winner! 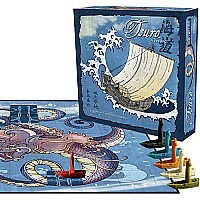 Fun, Fast, and Exciting: Tsuro of the Seas is a fast-moving, action-packed game that takes just 20-40 minutes to play. Elegant Game Design: The Tsuro tiles used in Tsuro of the Seas makes it easy to learn and a blast to play! 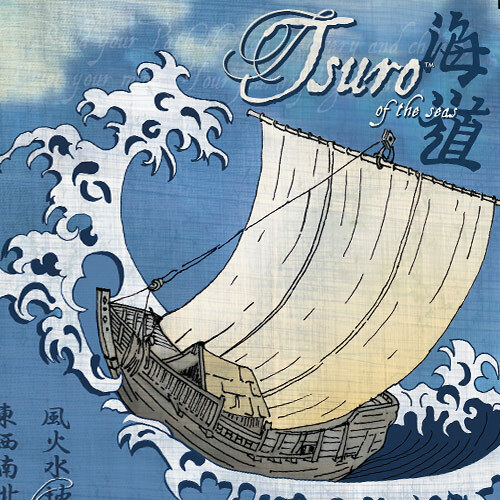 Gorgeous Artwork: In traditional Tsuro fashion, Tsuro of the Seas pulls the players into the game’s world through beautifully crafted pieces and exquisite artwork. 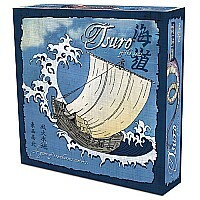 Tsuro of the Seas makes a great coffee table game. 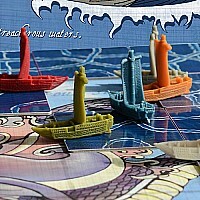 Strategic Game Play with Random Elements: Players can easily see and plan for the dangers ahead, but they never know when danger will strike! Great Entertainment Value: The replay value of Tsuro of the Seas is exceptional! No two games will ever play the same. Measures approximately: 9.75 x 9.75 x 2.50 inches..